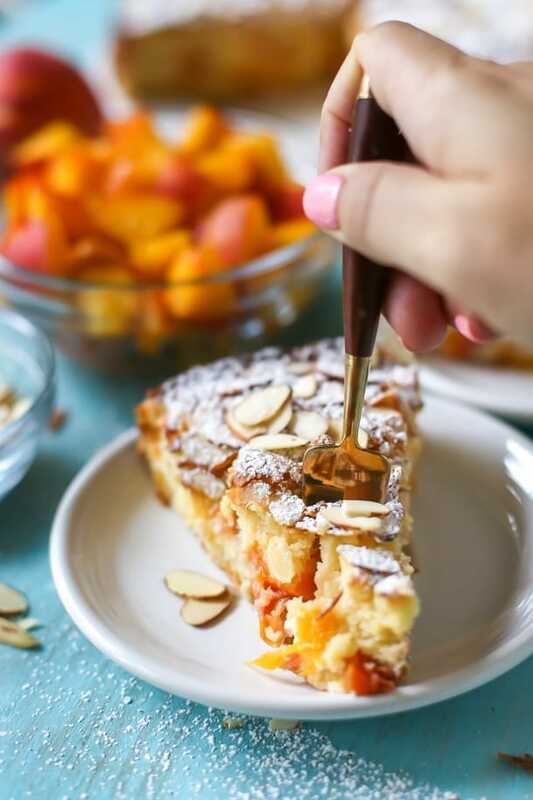 Inspired by traditional French almond cake, this dairy free peach almond cake is simple to make, full of fresh peaches and topped with sliced almonds and powdered sugar. Is your peach season over? I read somewhere that July 4th marks the end of peach season in some parts of the country, but being from the frozen tundra, I associate peach season with the second half of my summer. 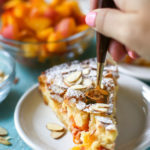 Peaches have always been one of my favorite fruits, and I’m so excited to share this peach almond cake. 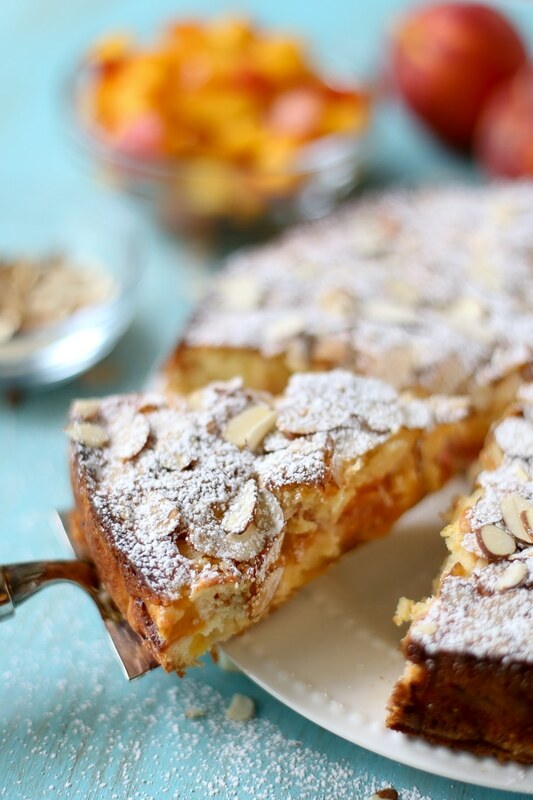 It’s a play on a traditional French almond cake, sans dairy, and it’s super easy to make. 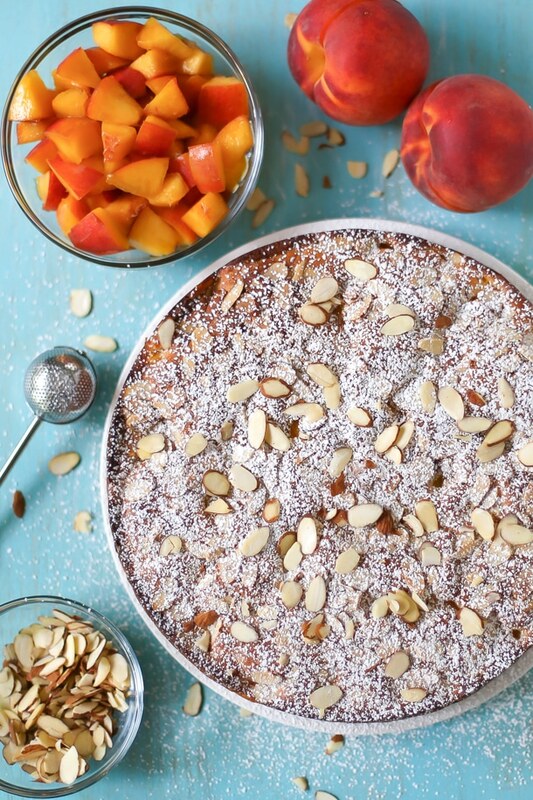 You don’t need fancy ingredients like almond flour, and the bulk of the work consists of chopping peaches. You don’t even have to peel them if you don’t want to. I never do (I didn’t peel them for my peach galette either). I used butter-flavored vegetable shortening for my butter replacement in this recipe. It substitutes one-for-one, and I have yet to notice a difference when it comes to baking. You could also substitute coconut oil or dairy free buttery spread. All one-for-one. If you’re not avoiding dairy, use real butter. 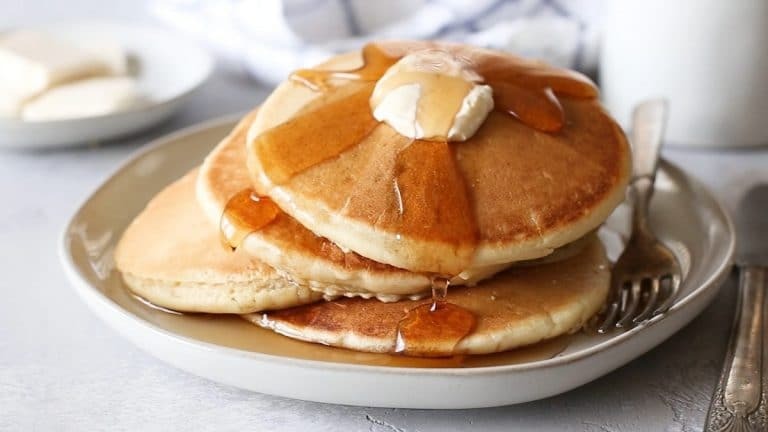 To top it all off, you need some sliced almonds and powdered sugar. Lots and lots of powdered sugar. That so much easier than making frosting anyway, right? Preheat oven to 400˚F and grease a 10-inch round spring form pan. In a large bowl with an electric mixer at medium speed, cream butter or shortening with sugar until light and fluffy, about 2 minutes. Scraping sides as needed, add flour mixture, about 1/3 at a time, mixing on a low speed until incorporated. Fold in peaches using a rubber spatula. Transfer mixture to greased pan and level with spatula. Sprinkle cake with sliced almonds. Bake for 40 – 50 minutes or until an inserted toothpick comes out clean. 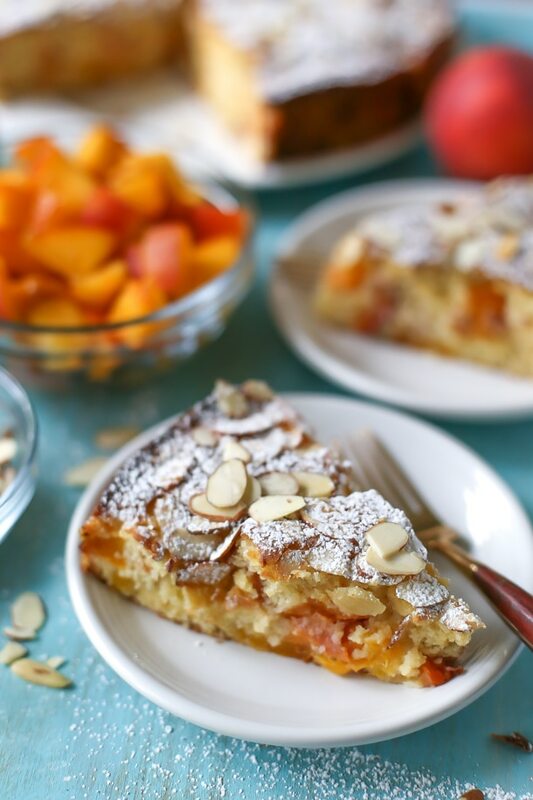 This looks amazing and I love peaches and almonds together. Do you peel the peaches? I don’t peel the peaches, but you definitely can! Can I use vegan butter instead of shortening? Will definitely try this recipe soon! Is the butter unsalted or salted? If you’re using butter, you want to use unsalted! Made this dairy free cake for our family dinner as my sil can’t tolerate dairy. It was absolutely delicious. Soft and light texture. I even used the peaches off her own tree! Definitely a keeper. Thank you so much for the recipe.